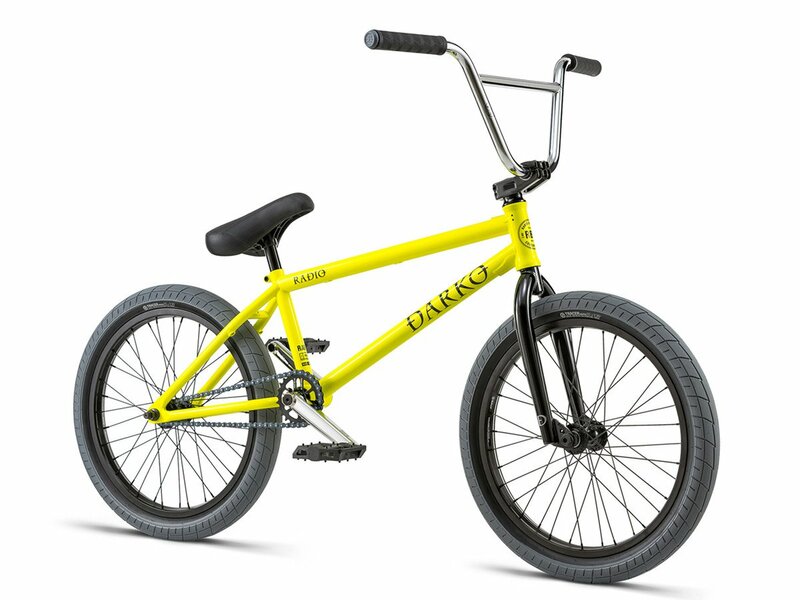 The Radio Bikes "Darko" 2018 BMX Bike - Neon Yellow is a upscale class beginner BMX complete bike which is aimed at already advanced riders which put emphasis on rock solid quality at a good price-performance ratio. 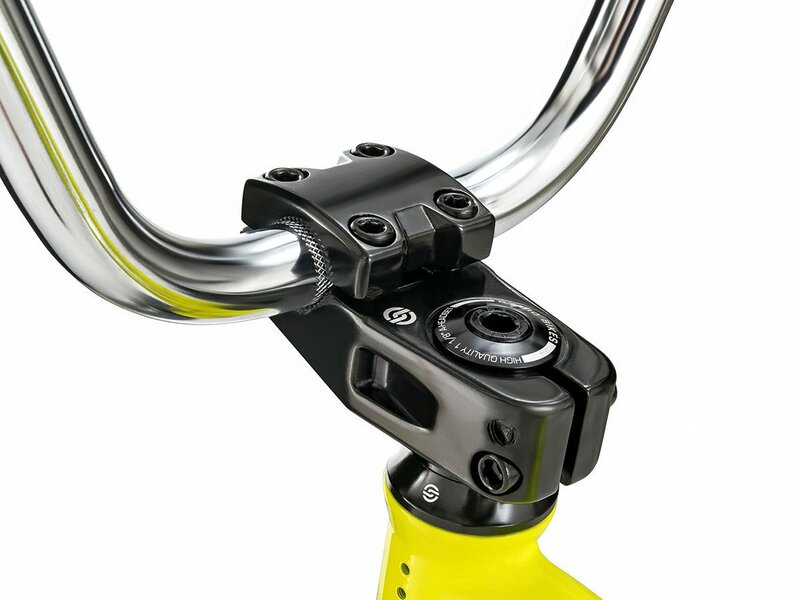 The frame includes an integrated headset, Mid BB and removable U-brake sockets which is today's standard on high quality BMX frames and which makes installation, adjustment and maintance easy. 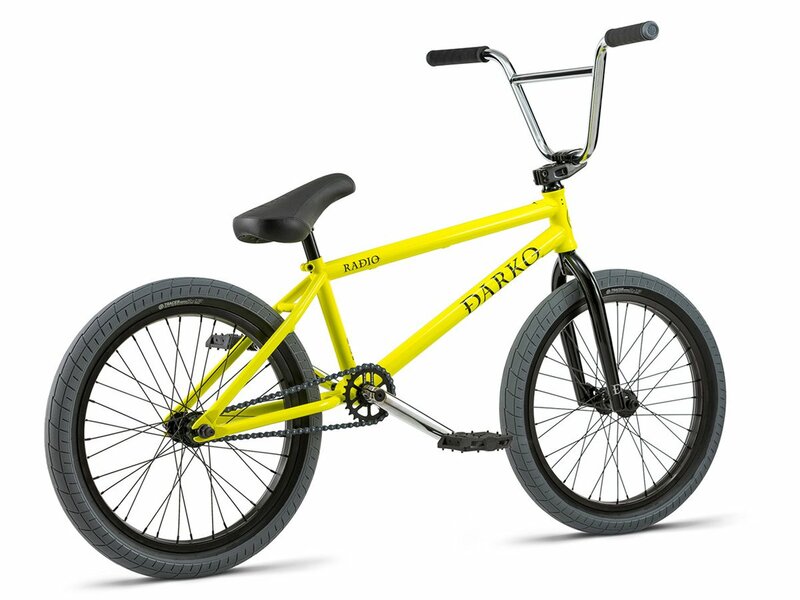 The 4130 CrMo top and down tube provides increased stability and so this Radio Bikes "Darko" 2018 BMX Bike - Neon Yellow offers already a good basic equipment but also good attachments from Radio Bikes, Salt and Salt Plus such as a 3-pc. CrMo crank, a high toploader stem and handlebar, a rear U-Brake and a rear wheel comprising of a cassette hub and a stable double wall rim. 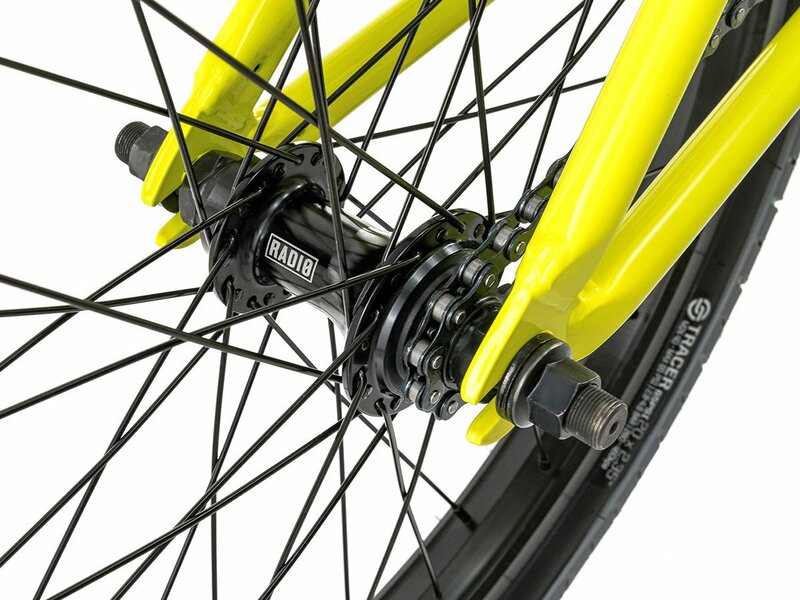 The Radio Bikes "Darko" 2018 BMX Bike - Neon Yellow comes with a preinstalled U-brake and wide Street/Park tires to you. BMX Bar: Radio, 1020 HiTen, 2-pc.